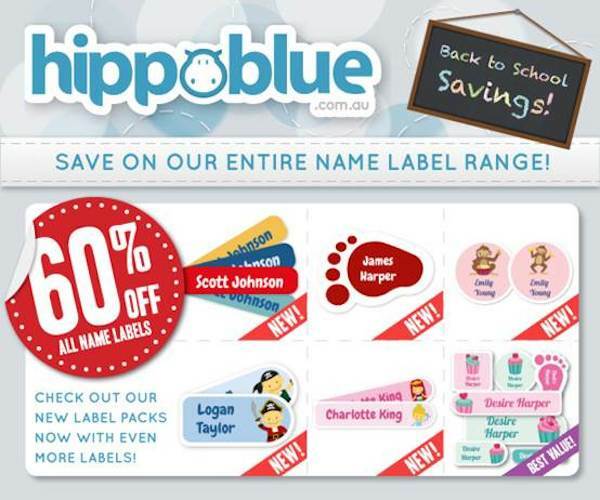 Get Organised in Style! 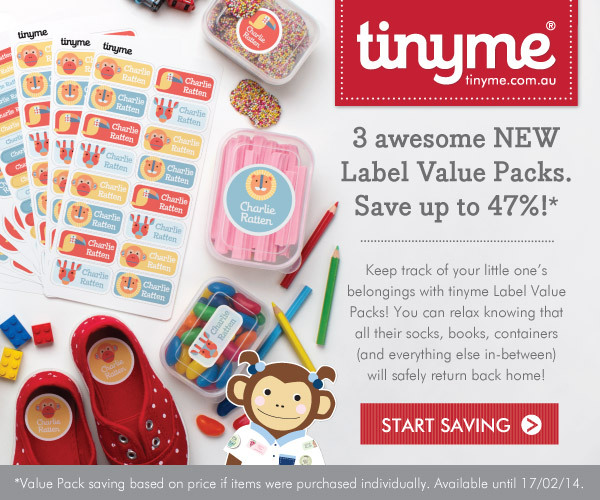 Save up to 47% with Tinyme’s Name Label Value Packs… Yay! 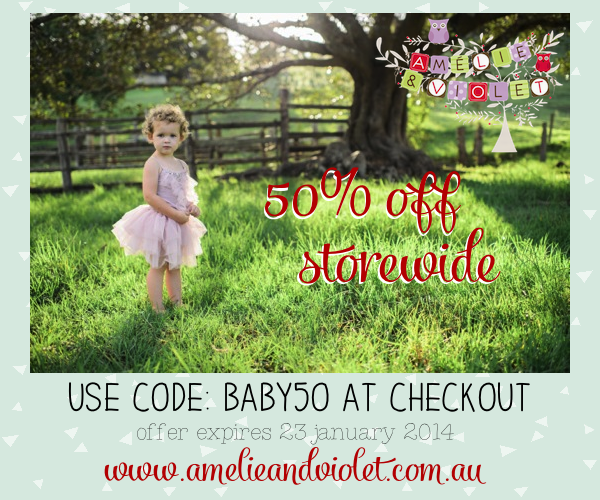 Take 50% off storewide at Amelie & Violet – toys, clothes, decor etc. 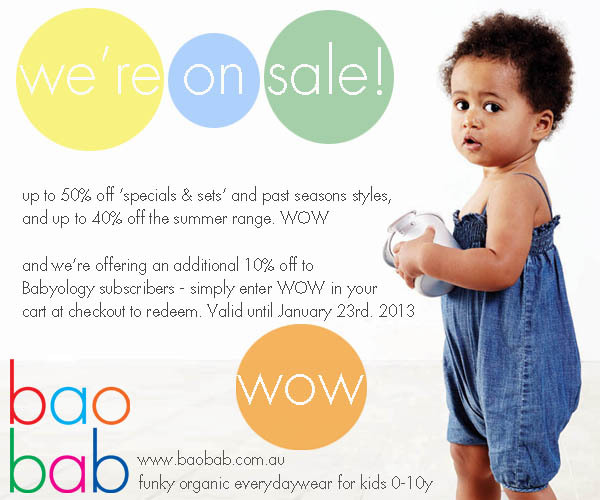 Aqua Maternity swimwear sale – 30% off already reduced swimwear!